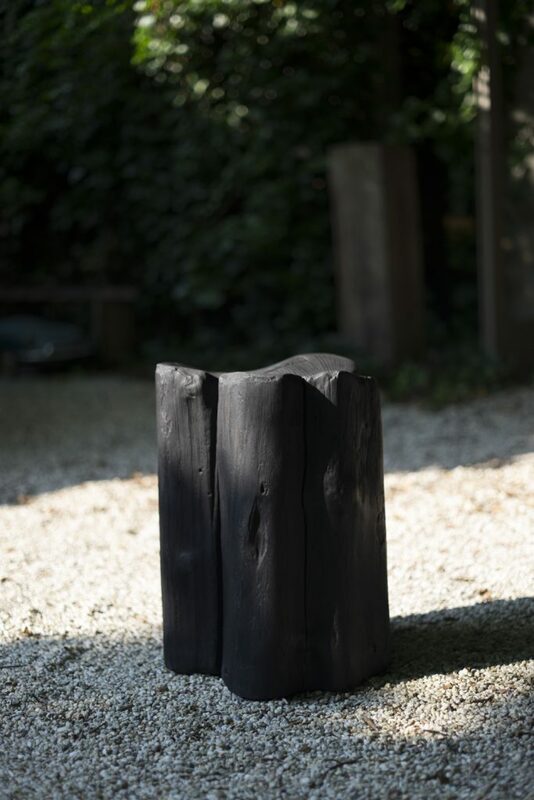 In search of a way to emphasize the sensual forms of the wood, we discovered an ancient method from Japan called Shou Sugi Ban. 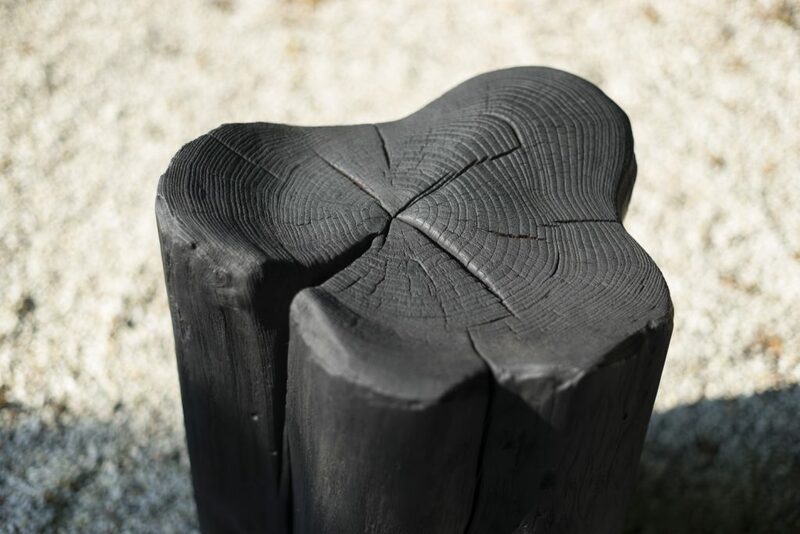 This intensive and time-consuming technique burns away the soft parts of the wood and reveals the inner structures of the wood. As an additional advantage the wood is well preserved from weather, rot and insects with a non-toxic method. The Burned Chunk has a comfortable flowing seat and is equipped with invisible wheels.